Near the sea, the port, shops, beaches lined with white sand for miles. Marked hiking trails by the sea and countryside. Bi-weekly markets with Breton specialties. sea ​​trips on fishing boats. 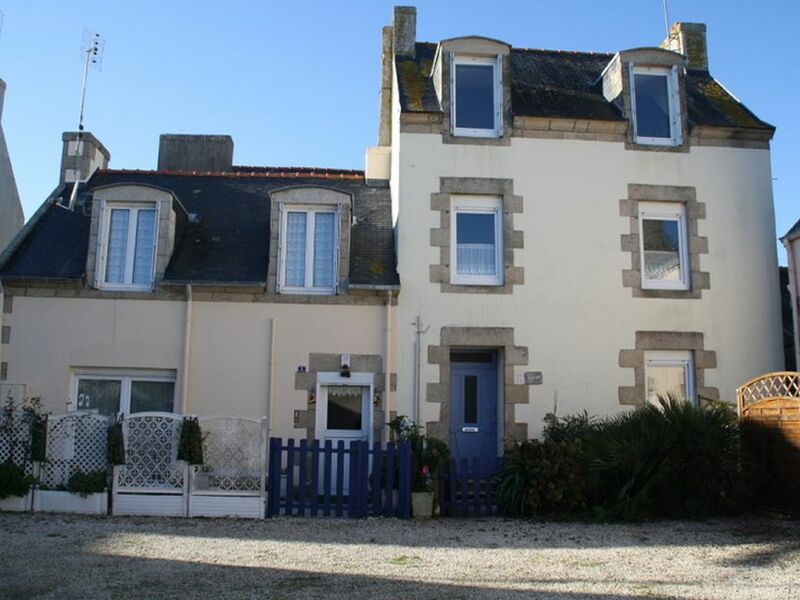 300 m from the - Semi-detached house for 6 people, composed of: kitchen / living room / lounge, 3 bedrooms, bathroom, 2 toilets - washing machine and dishwasher -2 tv - 1 cot - Terrace with garden furniture, barbecue - yard, parking - pets welcome. EDF : en basse saison - le tarif est de O,15 €/kw en sus du prix de la location Possibilité de location de draps ou housses de couettes : 10 €/chambre Ménage non effectué : 60 € Le plus : 2 VTC à disposition des locataires et sous leurs responsabilités.